Available Spring 2019 in the mid-$700K range. Unique Clarksville location just 5 minutes to downtown, Zilker and more! Modern construction with solar panels, whole-house fire sprinkler system, steel floating staircase, art gallery hall, and a pergola-covered patio on the 2nd floor. Bountiful natural light throughout. 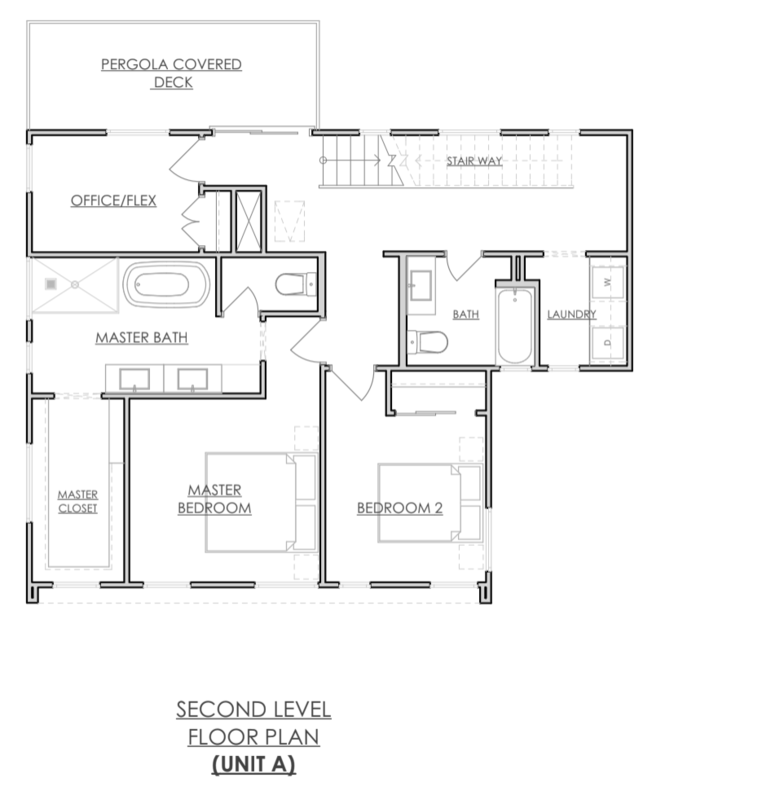 Master bath features free-standing tub and walk-in shower. 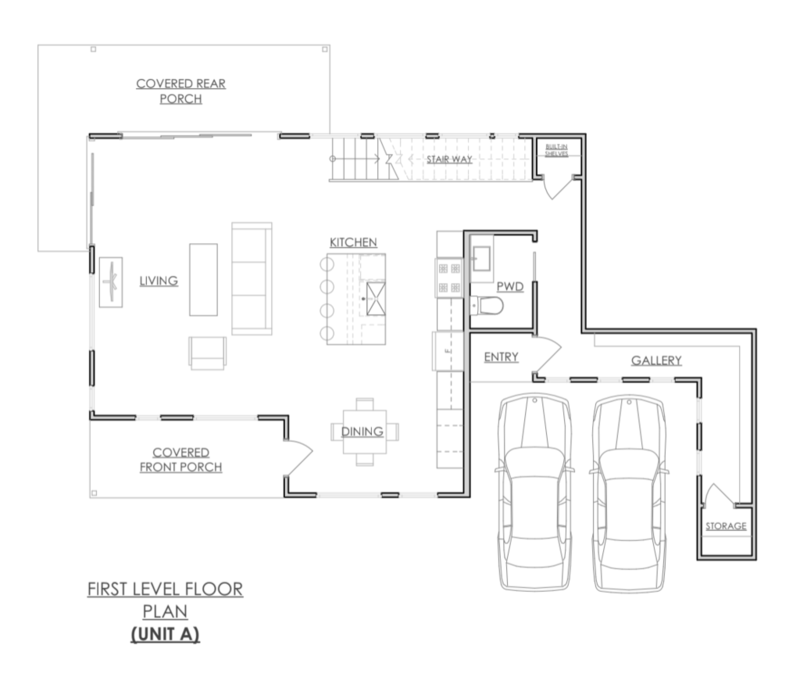 10-ft. ceilings throughout, Bosch appliances, 36-inch range, 15-SEER HVAC. Incredible landscaping with retaining wall with organic finish, and parking for 3. 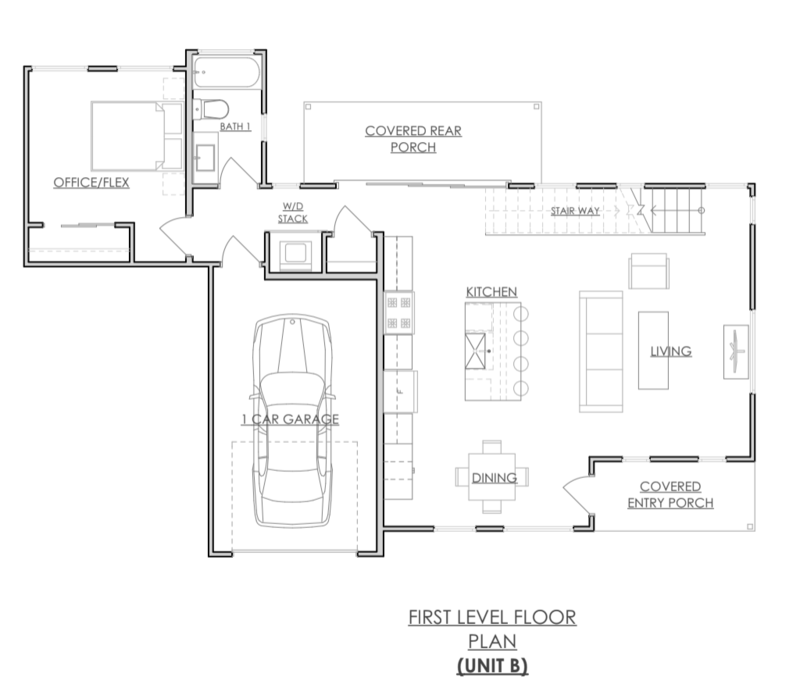 Unit B - 2 Bedroom, 3 Bath, Flex Room, 1712 sq ft. Available Spring 2019 in the low-$800K range. 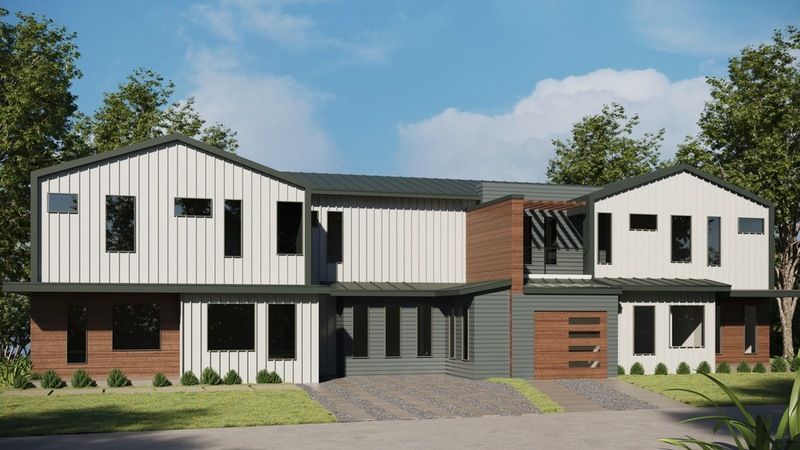 Modern construction with solar panels, whole-house fire sprinkler system, steel floating staircase, and a pergola-covered patio on the 2nd floor. Bountiful natural light throughout. 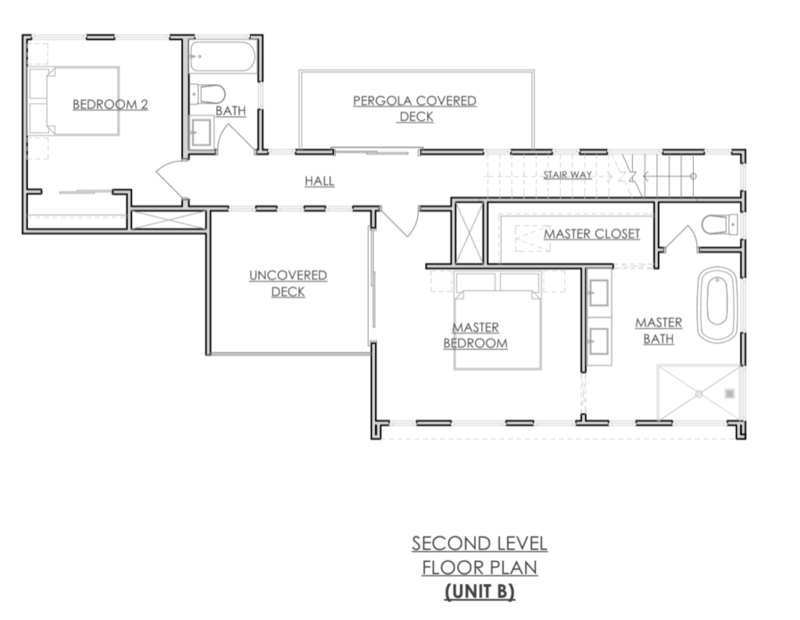 Expansive first floor with oversized flex room with full bath. Incredible landscaping with retaining wall with organic finish, and single-car garage. Access our Buyer's Guide for Augusta B here!